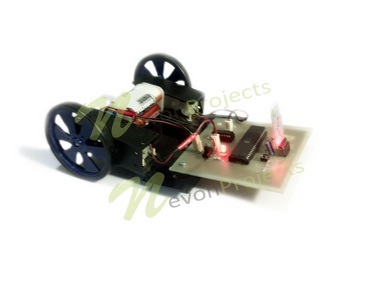 Our project proposes a robotic vehicle that can be handled remotely through an android based device. 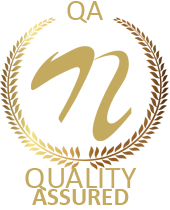 The control device is integrated with a Bluetooth device that allows capturing and reading the commands. The robotic vehicle may then be operated as desired as commanded through the android application. 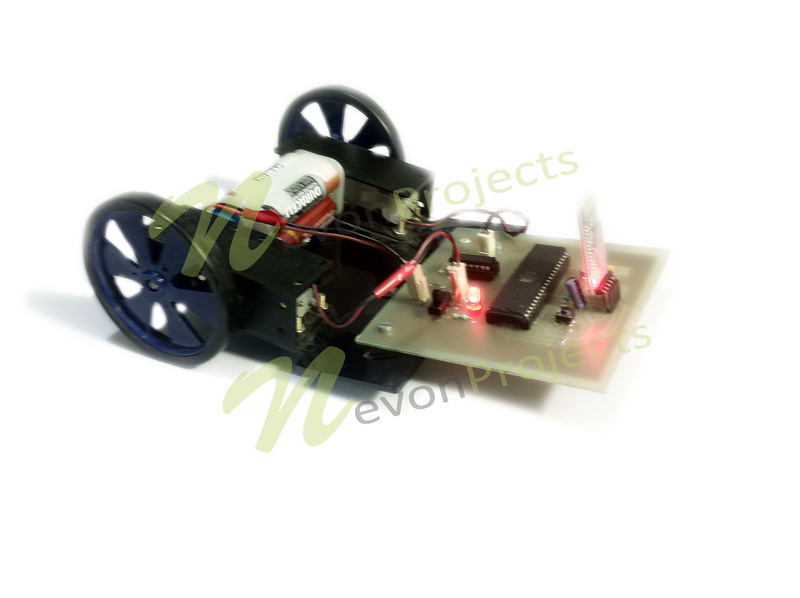 The vehicle is integrated with a microcontroller of 8051 family that is used to operate the vehicle as per android commands. After receiving the commands, the microcontroller then operates the motors I order to move the vehicle in four directions. 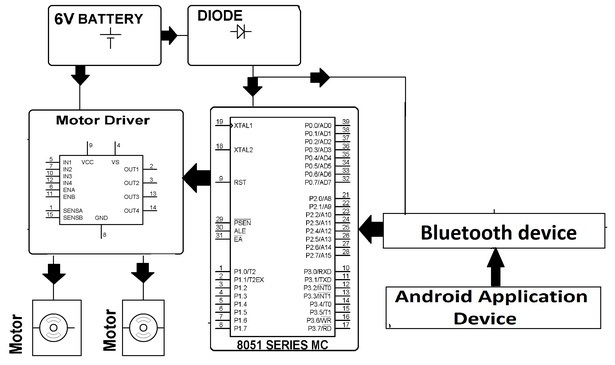 The communication between android device and receiver is sent as serial communication data. 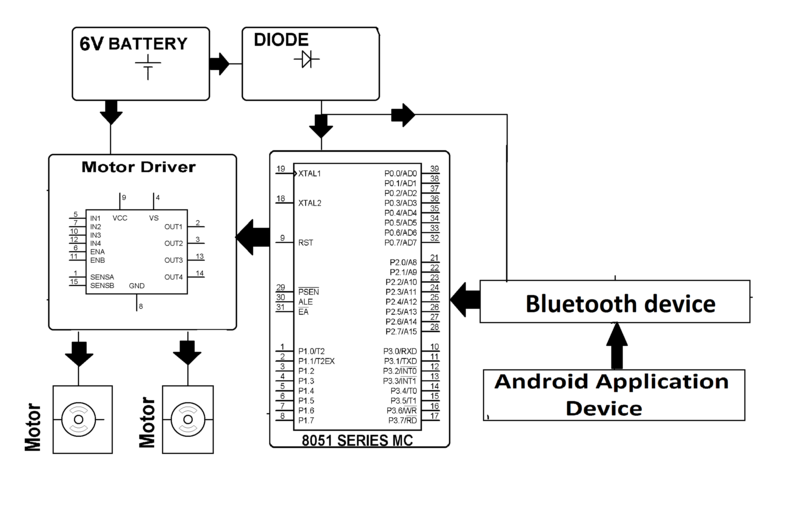 The microcontroller program is designed to move the motor s through a motor driver IC as per the commands sent by android device.